Actor Tim Frances talks about his career and playing Anthony Trollope in last year’s production of Lady Anna: All at Sea. 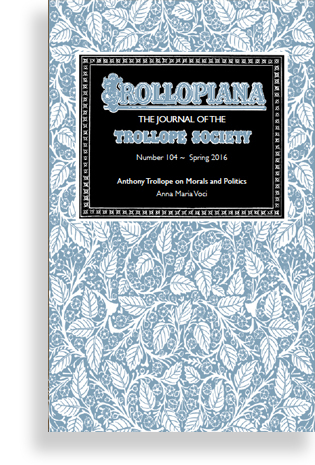 Historical literature scholar Anna Maria Voci considers Trollope’s views on political morality. 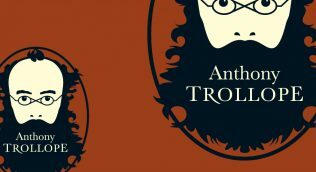 Trollope Society member Pamela Morgan describes the conference devoted to Trollope. The full text of the address given by the Right Reverend and Right Honourable Dr Richard Chartres KCVO Bishop of London and President of The Trollope Society. 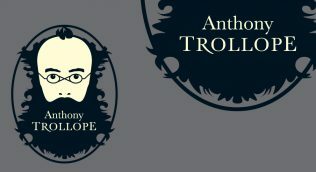 Glenn Shipway is a devoted reader of Trollope and is active in Social Media promoting the reading of Trollope. I was switching between being Trollope and being the fictional lawyer in no time at all, turning on a sixpence. Tim Frances talks about his career as an actor and playing Anthony Trollope in the recent production of ‘Lady Anna: All At Sea’.